Everybody is talking about the Christmas lottery these days. It seems this is some kind of tradition. Can you explain more about it? The Spanish Christmas lottery, called Loteria de Navidad, is an institution is Spain. The lottery was started almost 200 years ago and has been run in the same fashion since then. It is the largest lottery in the world as measured by the size of the total pool. The draw takes place on the morning of December 22nd and is broadcast on all radio and TV channels. The winning numbers are called by children singing the results in a specific and traditional way. 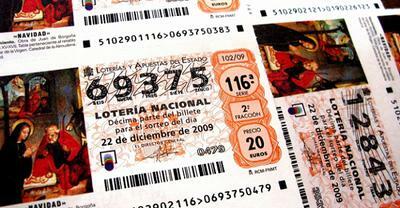 The culmination of the lottery takes place when El Gordo, the biggest prize, is announced - usually 3 million euros per full ticket. A full lottery ticket costs 200 euros. It is divided in 10 parts, called decimos. People either buy a decimo for 20 euros or a full ticket. It is customary for businesses and friends to offer or exchange decimos. That way, if one wins, the other also wins. In case you miss this one, there is another lottery called El Niño drawn on Three Kings Day January 6th.